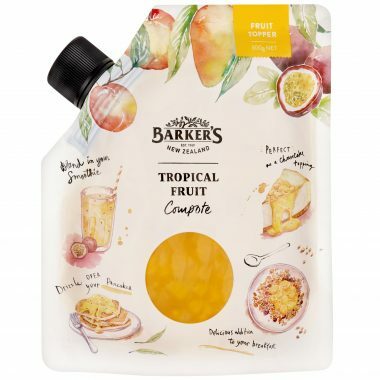 Make the chia pudding by placing the chia seeds, coconut milk, water, Barker’s New Zealand Tropical Fruit Compote, maple syrup and vanilla extract into a bowl. Mix well and place in the fridge for 1 hour, stirring occasionally. To make the granola, preheat oven to 180◦C and line a baking tray with greaseproof paper. In a small bowl, melt together coconut oil, maple syrup and coconut butter. Stir to combine. In a separate bowl, add rolled oats, macadamia nuts, almonds, coconut, pepitas, sunflower seeds, rolled golden flax seeds and hemp seeds. Stir to combine. Pour in the melted coconut oil mixture and mix until oats and nuts are evenly coated in the coconut oil mixture. Pour the mixture onto the lined baking tray and spread out evenly. Place the granola into the oven and bake for 10-15 minutes until golden brown. Remove from the oven and allow the granola to cool on the oven tray so that clusters form. Once the granola has cooled, break into chunks and store in an airtight jar until ready for use. 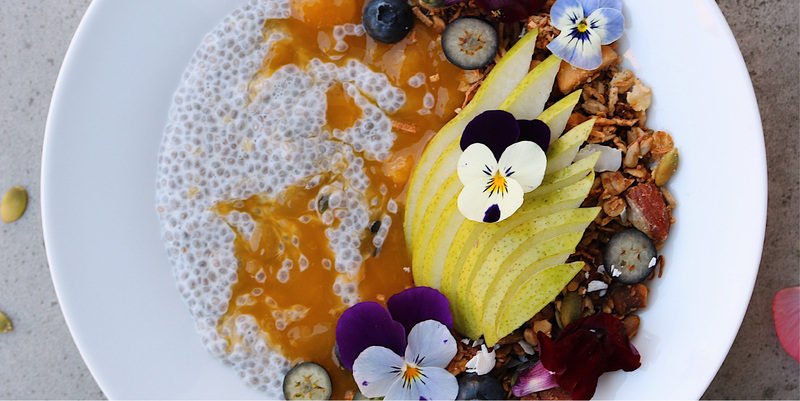 To assemble the dish, place 1/3 – ¼ of the chia pudding in a bowl, then top with fresh fruit, more Barker’s New Zealand Tropical Fruit Compote and 1/3 cup of coco-nutty granola.